When Sharon and Noel Ford decided to install solar on their Queensland holiday home, they did not anticipate just how great the benefits would be. The Ford’s run a fairly energy efficient home, but like many Queenslanders, they own a pool which uses up a lot of their power. Unfortunately their first summer of solar was one of Queensland’s worst. While their area was not hit by the massive floods that plagued so many parts of the state between December 2010 and January 2011, with record rain and little sunshine, the Fords worried about their solar system. In fact, the Ford’s solar power system generated more savings than anticipated. Not only did they not pay a single dollar in 2011 for electricity, their account is now in credit for $136. Without solar, their total year’s worth of electricity would have cost them around $1,200. 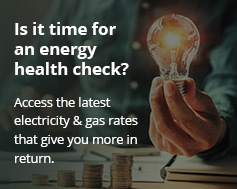 Join the Fords and thousands of other Australians who are now making their own electricity with a rooftop solar energy system from Energy Matters! View our current specials or get an instant online solar quote.